I'm going on a longer trip at the end of the month! Ordering a rack for my Oztent today, had the X looked over to see if any maint needed and am good to go. Just some last minute preps/gear changes. I'll probably cross 100k miles on the X on this trip. Nice rig! How often do you have to fill up our CO2 tank? Not often. It doesn't get used enough! Powertank has a cool chart here that talks about fill times and number of fills for each different tank/tire size and PSI increase. Mines a standard 10Lb bottle so it should get pretty much the same number of fills as powertanks 10lb bottles. Thoroughly impressed with that tanks specs. 20 tire fills is pretty sweet, and being able to run air tools is nice as well. Yeah its not bad! Basically 4 air up per fill w/ a 5th fill possible but you're gonna be close. Also very dependent on how many psi being added. 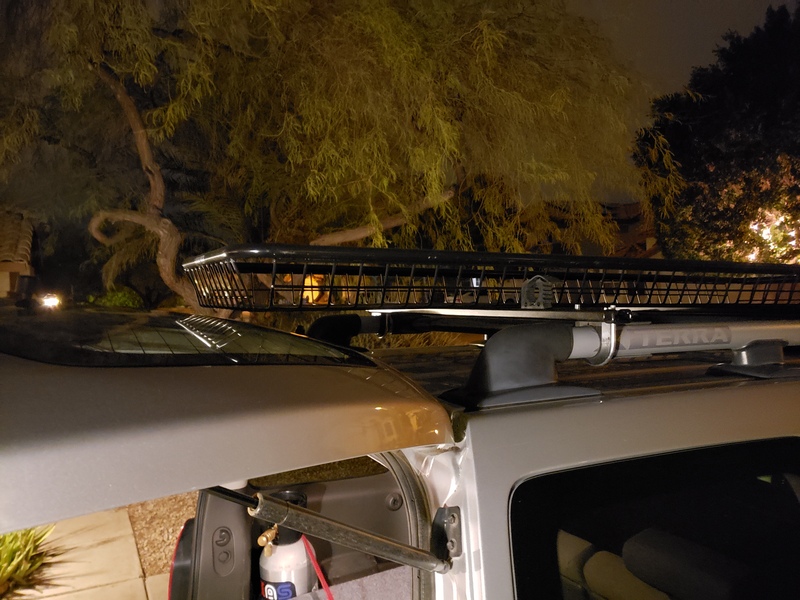 Picked up a Rhino roof basket from Sierra Expeditions this morning. I ordered the wide so I could put the tent and a couple chairs or whatever I need up top. Now I just have to figure out how I'm going to mount it for trips. I just used ratchet straps for now but I want something more solid if I'm going to have an actual load up there. Right now I'm just thinking a couple U bolts and be done w/ it. 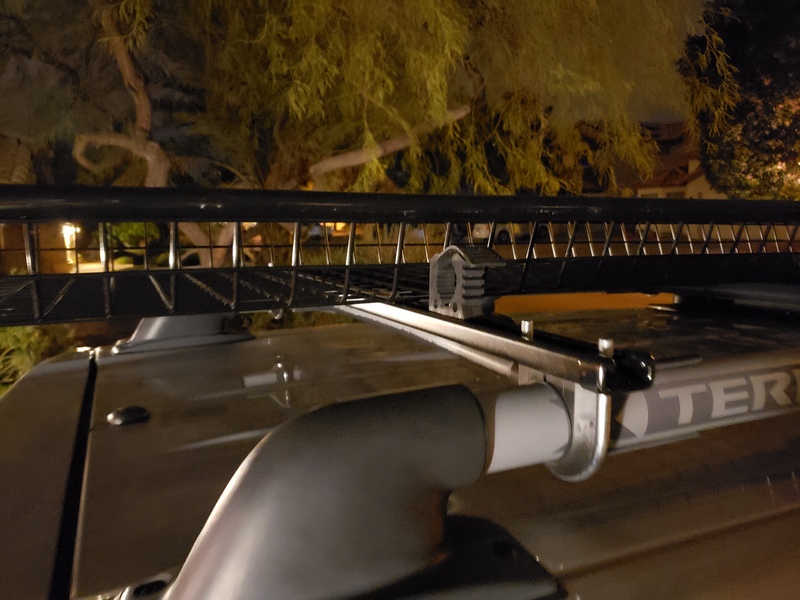 On the other extreme I might try to build a frame out of aluminum square so I could make the basket pivot up so I can still access the roof box w/ out taking the basket off completely. Any input would be appreciated. I used exhaust clamps and unistrut to create a cross bar setup that you can run bolts through. Just a thought? I wasn't able to find the Mighty Mounts anywhere unfortunately. The universal ones I'm not sure how they would attach to the basket. I think I will probably end up doing the unistrut eventually but I'm going on this trip on the 22nd so I want to get this built ASAP. I can't find the channel in that size local (probably not looking hard enough). Same w/ the u bolts w/ the vibration dampening rubber/adapter. How quickly does mcmaster ship if you know/remember? McMaster Carr in my experience ships very promptly, and they also sell lengths of strut channel. I went out to the x to measure the distance between the bars. 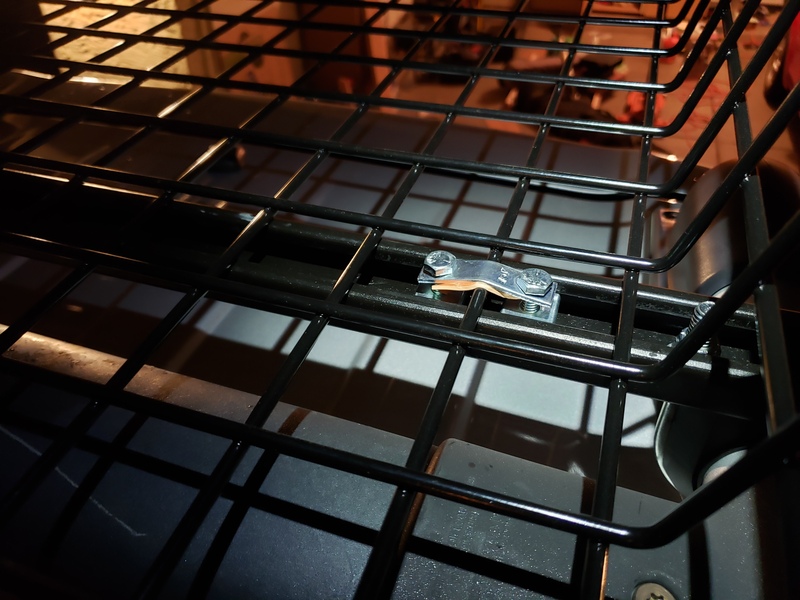 I grabbed the rack to pull myself up and when I stepped up I lifted on it slightly and it lifted quite a bit. I'm going to tighten the crossbar down when I get home but it shifted a lot which I didn't like. You all aren't kidding when you say the plastic on the crossbars leaves a lot to be desired. I just placed an order for a 10ft piece of unistrut and 4 of the u bolts. I want to mount the rack low if I can but it will interfere with the back door opening. I wonder if theres an easy way I can use a hinge at the front and some kind of lockout to lift the back of the basket up then open the rear door. Ordered a rear diff breather kit tonight. I didn't want to go find parts. Took the lazy way out on this one. 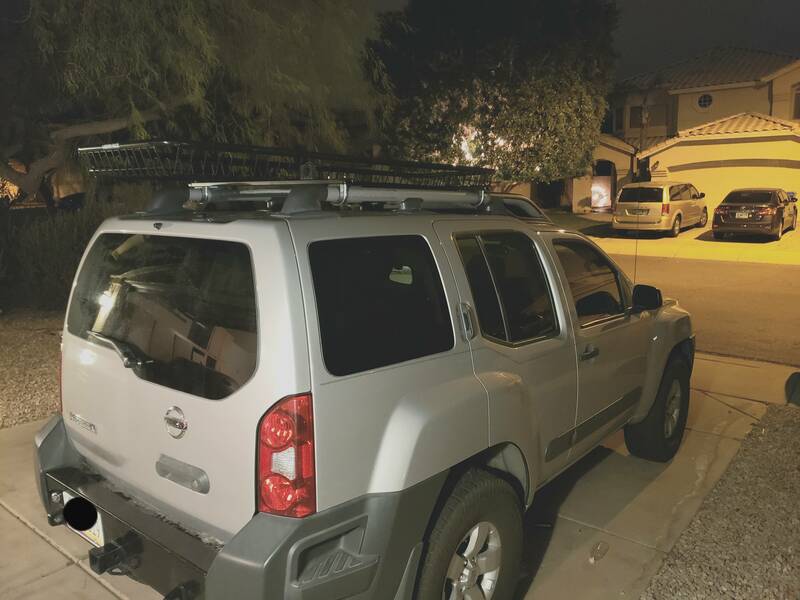 Got the new cross bars cut down, holes drilled and mounted to the roof rack tonight! Basket is on and im going to drive around with it for a little while just to see if theres anything that i need to change. Pictures are garbage but its late and they get the idea across. These bars are definately more sturdy than the factory rack. The only thing im not sure of i like is how the basket is attached to the bars. Its definitely strong enough but i feel like theres gotta be a better solution. I might try stacking some washers in between the flat plate and the channel "nuts" a stronger flat bar might be good too. Roof bars look great! Basically what I did with my truck!